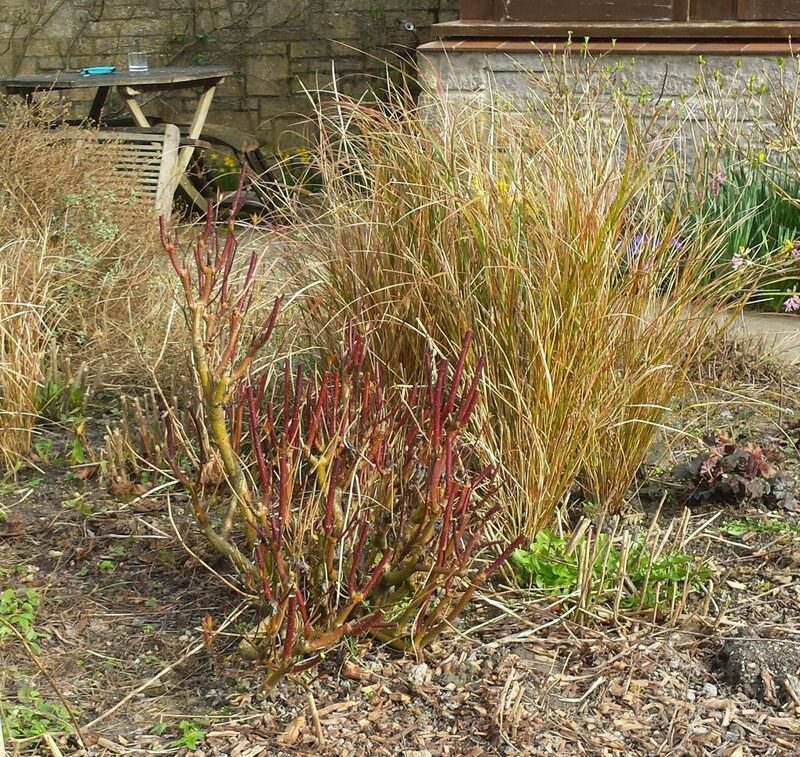 The main reason for growing dogwoods in your garden is that they provide great winter interest with their colourful red, purple and yellow stems. To achieve this effect, they should be pruned in early spring. First of all take out all dead and diseased wood and any small and spindly growth. Then prune all the remaining healthy branches back to the first pair of healthy buds nearest to the base and then take out any crossing or twisting stems. 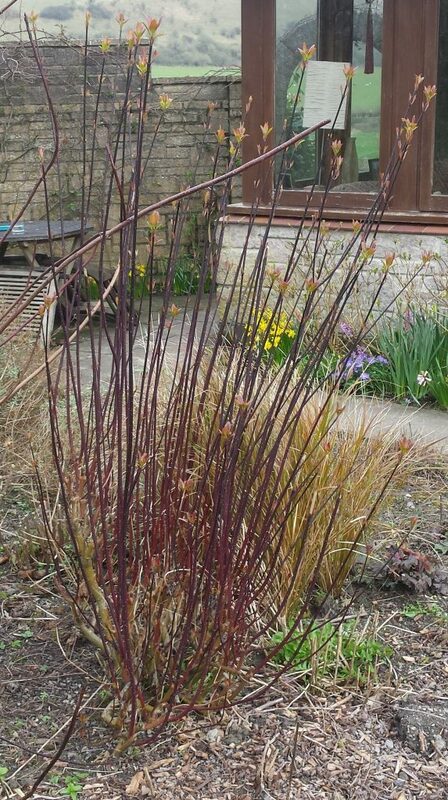 The aim is to achieve a simple open structure to encourage colourful new stems to emerge the following winter. 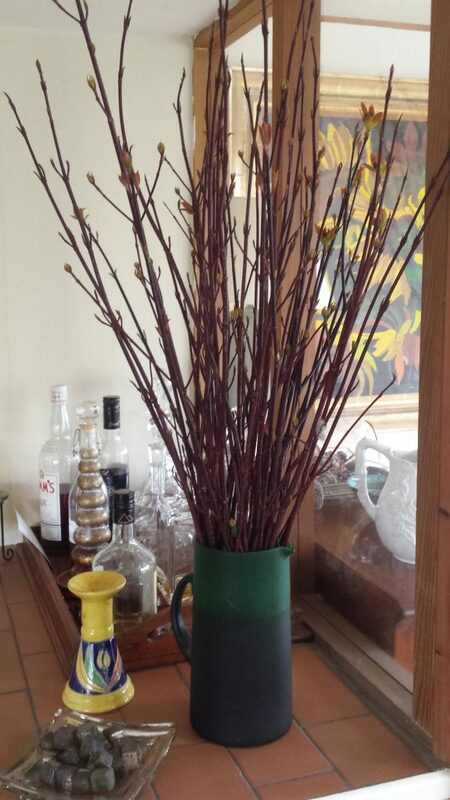 The cut stems can then be put into water for an elegant display that will last for several weeks! Pruning your shrub roses is essential to maintaining a good shape so you get good air circulation and a healthy plant which will then produce loads of lovely scented blooms. Unlike modern bush roses, the old fashioned shrub roses generally flower on older wood and so should be allowed to develop naturally particularly those of an arching habit where hard pruning would ruin their graceful shape. Modern shrub roses can be pruned hard as explained below. The key is to know what sort of rose you have!